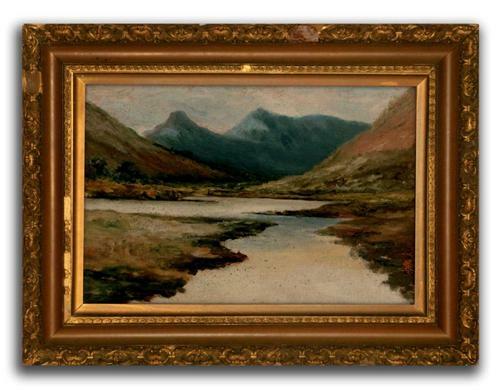 This one of a pair of stunning Victorian landscape paintings. The frame has seen better days and has sustained a few areas of lost gesso; but it's obvious that it is original to the painting and, let's face it, it's old. And therein lays its attraction; its altogether a very impressive survivor of Victorian decorative art.